It’s that time of the year again! I’m doing my 12 Days series again this year. Last year, I posted for 12 days straight of free resources like Tailwind Tribes, planners and more. This year I want to do something a little bit different. 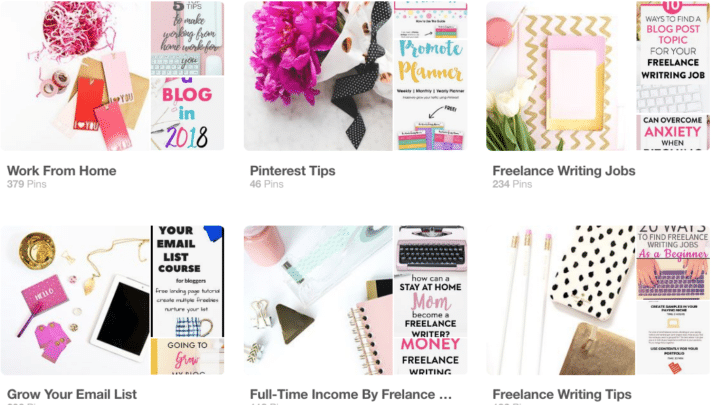 I want to share some pin-tastic Pinterest tips! Pinterest is my BFF and I realize I don’t talk about “her” much on Twins Mommy. So, for the next 12 days, I’m going to be sharing some Pinterest tips to help you grow your blog traffic, list, and income. Day 3: What Are Pinterest Sections And How Do You Add Them to Your Boards? For today I want to talk about keywords. Keywords should be your foundation for your Pinterest marketing strategy. 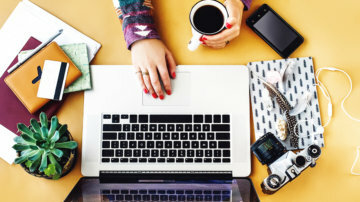 This is the #1 way pinners will find your content. I’m sure you’ve heard of Search Engine Optimization (SEO) for your blog right? 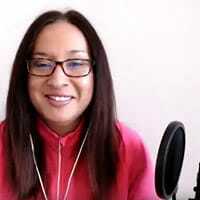 While I do SEO a different way to grow my blog traffic, the rule behind SEO is if you have keywords on your blog posts, this will help you rank on Google (in the very of simplest terms). Well, did you know that Pinterest is actually one of the world’s largest search engines next to Google? Pinners search on Pinterest for anything and everything and many prefer going to Pinterest over going to Google to find their answers (I know I do when I search for recipes or parenting tips). And you can leverage keywords to get more followers, more saves and more clickthroughs on Pinterest! But, how do you find keywords to place in your Pinterest descriptions? Since Pinterest is a search engine, you can use this to find keywords for your blog niche. Let’s pretend you have a health and fitness site about the benefits of doing yoga after childbirth. You want to reach out to brand new moms and tell them how yoga can help them lose weight, be healthier and more fit. Pinterest is perfect for this blogger. 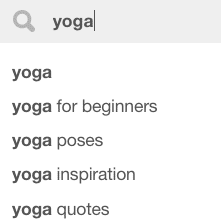 To find keywords in this niche, search for “yoga” on Pinterest. Pinterest gives you suggested terms. These terms are your keywords! But, wait. These keywords are highly popular searched terms and can be a challenge to rank on Pinterest using those terms. To start growing your presence on Pinterest, you want to dive deeper into keyword results. Pinterest is trying to figure out what type of content you want to know about. This is perfect if you have a health blog. Each tile you can add that phrase to your keyword to make it more niche and more related to your audience. But, wait! You can nest down some more! These are the keywords you want for your Pinterest descriptions. One place to use keywords on Pinterest is on your boards. I can bet most pinners have no description on their boards. It’s often overlooked, but it shouldn’t be. 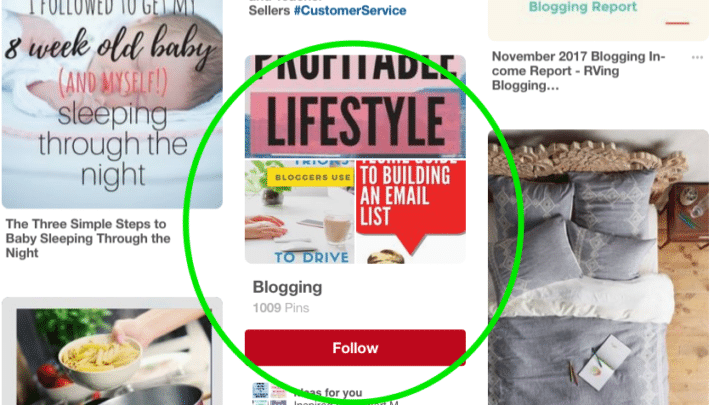 Pinterest promotes boards on your feed. So, place keywords in our board’s description. Make sure to also use a keyword for the name of your boards. Using a cutsey name won’t help pinners find your board. So use keywords that’s related to your niche. Here is a snippet of my Pinterest boards. You can see my audience wants to know how to make an income online so I have boards for work at home moms, freelancers, and mompreneurs. How Many Keywords Can I Use for My Pinterest Description? Right now, 2019, Pinterest doesn’t penalize you for using a lot of keywords in your descriptions. In saying this, you do want to be classy and not look like you’re spamming your board descriptions. Try to use keywords as naturally as you can in your sentences and you should be fine! 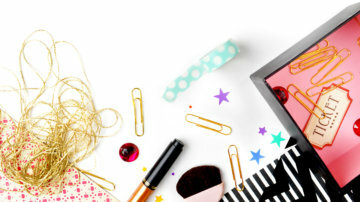 Your Pinterest board descriptions are important to help you be found on Pinterest. So, set some time to fill those board descriptions if they are blank or tweak them to have keywords that someone may search for when searching your niche topic. This is day 1 of 12 Days of Pinterest Tips to Grow Your Blog Traffic, List, and Income! Tell me in the comments if you optimized your board descriptions with keywords. Want Help Planning Your Pinterest Pinning Strategy? 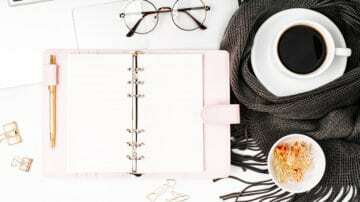 Check out my free Pin Promote Planner! You get a weekly planner, monthly planner and yearly planner! This is what helped me triple my traffic, list and followers in only three months of starting Twins Mommy! How many characters can be used in the board description? I read 160 is this correct? and should part of the descriptions be hashtags? Thanks! I’m not entirely sure but that sounds fine! I just updated my Pinterest board description. I have been using Pinterest more for personal use and just upgraded it to business. I am overwhelmed but at the same time excited for all the changes I am making to make my business grow. That’s awesome! Yes, marketing on Pinterest can be a bit overwhelming, but take it one step at time! thank you for the amazing tips. They are so helpful as always. I started to use keyword and also board descriptions and some other tips shared by you. It helped me to grow from 22k to 110k in just 19 days and gain over 100 new followers. Am in love w ur blog and all your tips. Thanks to you i finally found the courage and started working on my mom blog and hope to launch it soon. Thanks for sharing this. I’ve been blogging for almost 5 years and didn’t know anything about pinterest. So, I’m new in pinterest and, yes, I made mistakes and felt helpless to generate traffic from it. Thanks once again. I’ll keep reading the next 11. I’m so glad you found some great tips for Pinterest marketing. Yes, it’s a fairly new platform for traffic building. I know my hubby has been working online for 10 years and still knows nothing about Pinterest! It is a great platform to leverage though! Thank you, this really helped me because keywords was a little confusing. You made it simple. You’re welcome! So glad this helped! I recently stumbled upon your site and appreciate all the helpful tips! The keyword information is totally new to me. Thank you for this suggestion! That’s great! I’m so glad you found out about Pinterest SEO keywords! Hi! I am just starting up my blog and am looking forward to the 12 days of tips. Love the advice for keywords in day one. Thanks so much for sharing this advice. Aww thanks so much! I’m hoping to bundle these 12 days of tips eventually to make it easy to go to! I didn’t even know that Pinterest had this, and that I could do it. I put in descriptions for my boards. Thanks! That’s awesome you found out how to put keywords on your Pinterest board descriptions! Very helpful tips for Pinterest marketing here! The keywords you use on pinterest are very important. As you mentioned, this is how people look for specific content on pinterest. They have their own little search engine and keywords play a huge part. The suggested terms are valuable keywords people actually type into the pinterest search box. It’s like the google search suggestions. Thanks so much for stopping by. Yes, Pinterest marketing strategies is all about using keywords as much as you can! Thanks!